No trip to Chicago is complete without a stop at the city’s iconic Navy Pier. From the best eats to fun family activities that will keep you busy all day long, we’ve got the best attractions, tours and events to check out at Navy Pier — all in one ultimate guide. It’s REALLY hard to visit Chicago without checking out the inspiring Navy Pier. Sitting on the shores of Lake Michigan, the massive indoor/outdoor space has long been one of the Midwest’s top destinations. Recent renovations have definitively transformed its reputation from loveable tourist mecca to a local foodie and entertainment hotspot. With over 50 acres of pure entertainment awaiting, you want to make the most of it, right? Though Navy Pier can feel like a city within a city, it doesn’t have to feel quite as big as it looks. We’re going to help you navigate all the best insider activities, tours and events so you spend your time and money wisely. Today, we’re going to deliver 27+ Navy Pier tours, events, watering holes, restaurants, activities and much more that visitors and families absolutely should not skip. We may be known as the City of the Big Shoulders, but it wouldn’t be too far off to say that we’re also the City of Big Appetites. 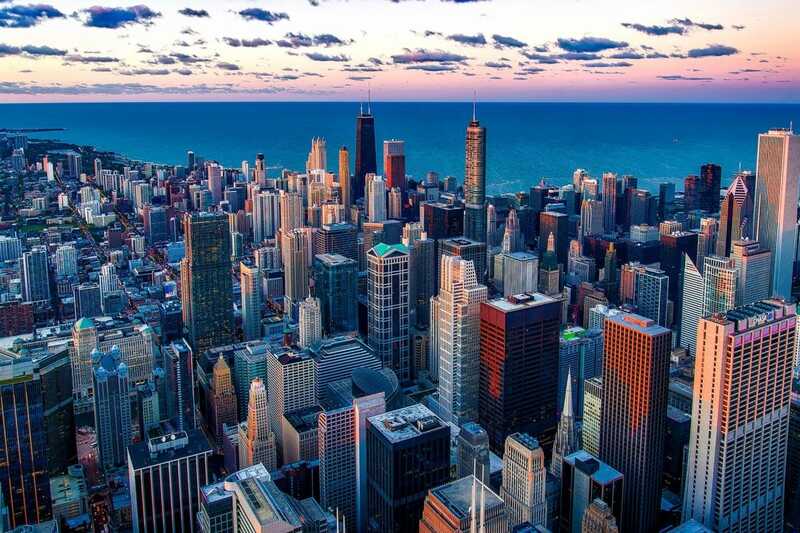 As Chicago has rightfully been named as one of the best food cities by USA Today, Bon Appetit and Conde Nast Traveler, visitors to the city are understandably hungry to discover the best bites we have to offer. 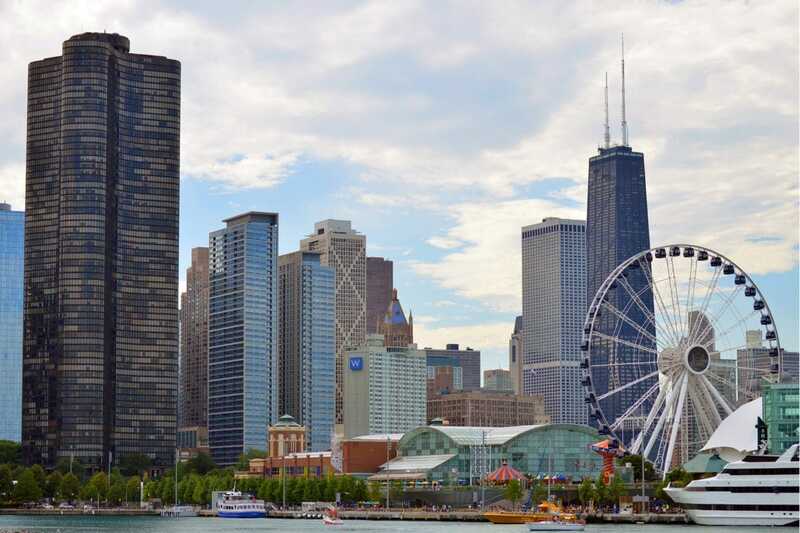 Navy Pier, laid out over 50 acres of indoor and outdoor space, is home to arguably the best Chicago restaurants, bars, food artisans and specialty food shops to help give you an authentic, local taste of our iconic “Chicago-style” cuisine. There’s no better way to indulge in Chicago’s greatest culinary hits and discover amazing historical and cultural tidbits than through a Food Tour of Navy Pier. 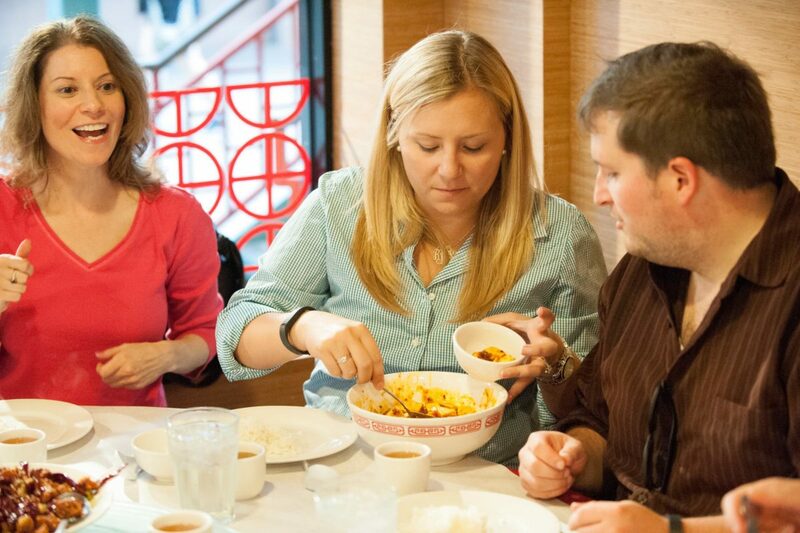 As the exclusive Food Tour partner with Navy Pier, Chicago Food Planet’s Navy Pier Signature Food Tour gives you a taste of Chicago’s most famous dishes, as well as a look at more recent mainstays while enjoying some adult beverages along the way. It’s a delicious, informative way to gain an inside look into not only Navy Pier’s illustrious history, architecture and culture — but to finally learn why we don’t put ketchup on our hot dogs. (Don’t you dare!) These events are offered year-round in summer and winter, with all food, drinks and your local food guide included. Insider Tip: Food Tours are a great option for families traveling with kids. You don’t have to be an adult, foodie or culinary expert to appreciate Chicago’s iconic dishes, including Chicago-Style popcorn, pizza, hot dogs and Italian beef sandwiches. You only need to come hungry, which anybody at any age can do! 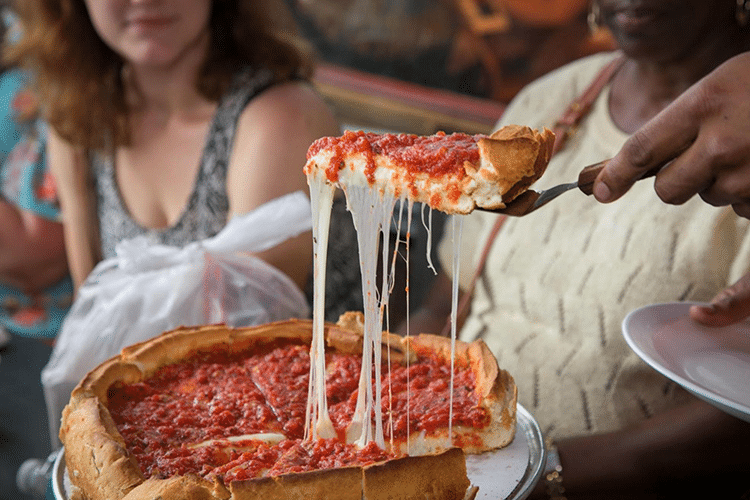 Whatever it is, Chicago deep-dish pizza is delicious — and Giordano’s serves up one of the best slices in the city. Better yet, they have a location right on Navy Pier, so grab a fork and find out for yourself. Try to get a reservation in advance as as lines and waiting times get incredibly long. Good news: Giordano’s is included on the Signature Food Tour, so there will be no lines as you’ll receive VIP access and private seating. Just sit back, relax and nosh! If you have a sweet tooth, Brown Sugar Bakery is here to help give it some love. The original South Side location was so popular that it won the Steve Harvey Show’s Best Bakery in America Award in 2013. At Navy Pier, you’ll find specialty sweets like sweet potato pie, peach cobbler, and the decadent caramel cake. Want to meet the owner and hear she got started? 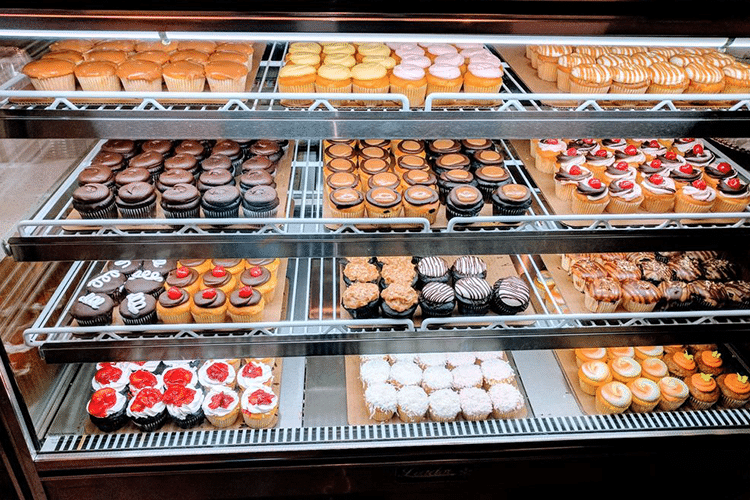 You’re in luck- a visit to Brown Sugar Bakery is part of the Navy Pier Signature Food Tour, so get ready to pick which sweet treat you want to try! 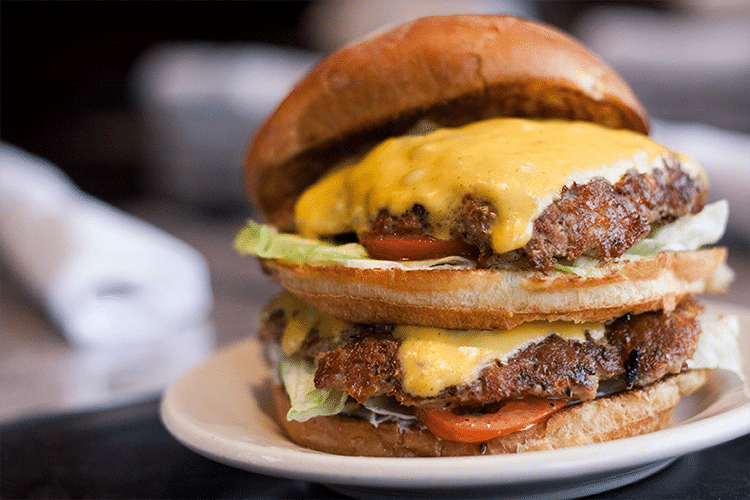 Helmed by five-time James Beard Award nominee Chef Michael Kornick, DMK Burger Bar and Fish Bar stands out in a city that has quality burger joints in every neighborhood. Guests rave about the 100% grass-fed beef patties, topping options, and artisanal buns that make up their burgers. The Navy Pier menu caters to every kind of eater, from the adventurous bison-fanatic to the health-conscious vegetarian. Come pay homage to the eponymous local legend and sports announcer at this waterfront BBQ tavern. Sports fans will love the delicious smoked meats, craft beers, and collection of sports memorabilia found at Harry Caray’s Tavern. The patio is outfitted with HDTVs, making it the perfect summer time spot to watch Caray’s beloved Cubs or take in the beauty of Lake Michigan. Chicago is blessed to have an amusement park right in the middle of the city. Navy Pier’s rides and attractions can give you a little of everything: from a quick rush of adrenaline to memorable experiences that will take your breath away. It’s only appropriate that Chicago, the birthplace of the Ferris Wheel at the 1893 World’s Fair, has one to call its own. 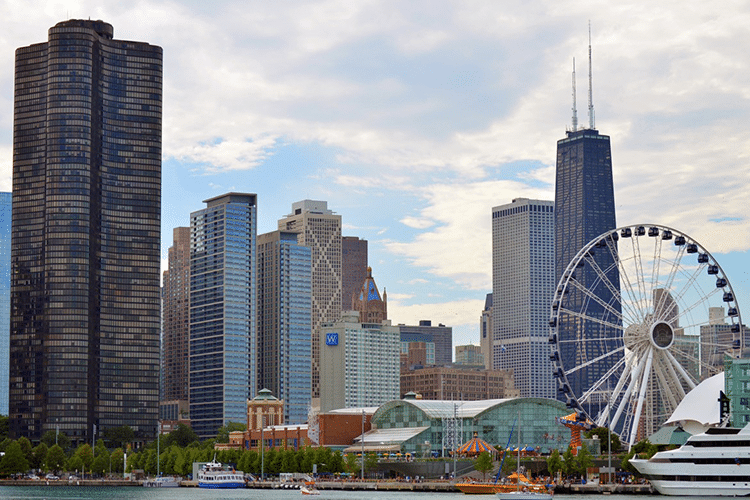 Dotting the city’s skyline at nearly 200 feet, the Centennial Wheel is considered by many the crown jewel of Navy Pier. The enclosed gondolas offer 360-degree views of the city and the Lake. Also, they can be enjoyed both in the summer and the winter because they feature air conditioning and heating systems. Navy Pier tickets to the Centennial Wheel can be purchased on the spot at Navy Pier Park’s box office. There are special discounts for Illinois residents, military members, and children. Kids under three get to ride for free. More of a high roller or celebrating something major? The Centennial Wheel also offers a premium VIP gondola experience. It includes admission to up to four guests, plush seating, a trademark glass bottom and other perks that you’ll have to see to believe—or ride to describe. If you like to squeeze, stomp, and squeal your way through tunnels, mirrored hallways and light sequences, then this experience is for you. 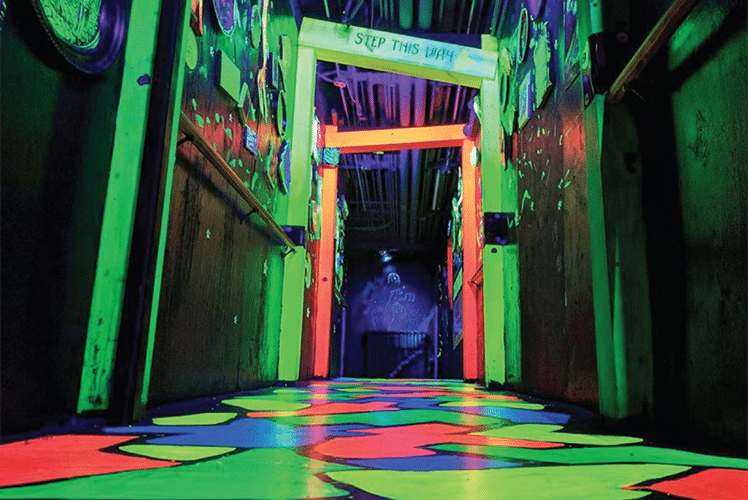 More fun than scary, and more challenging than you’d expect, the Amazing Chicago’s Funhouse Maze is the kind of place you can roam for hours. 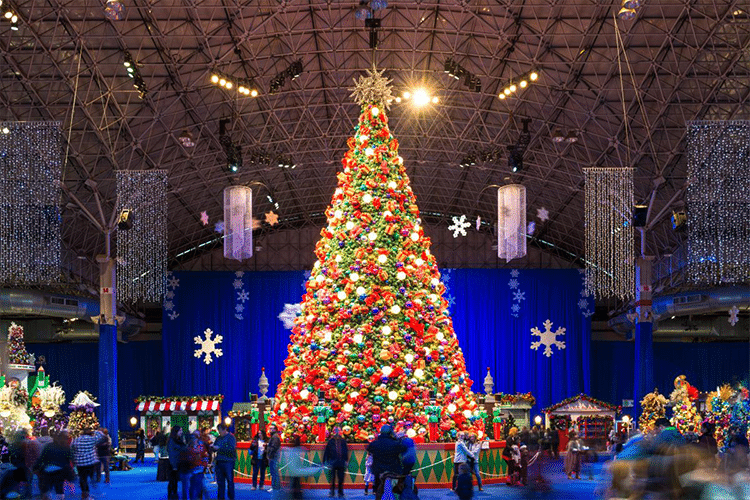 Plus — it’s sure to entertain adults and families with children visiting Navy Pier. 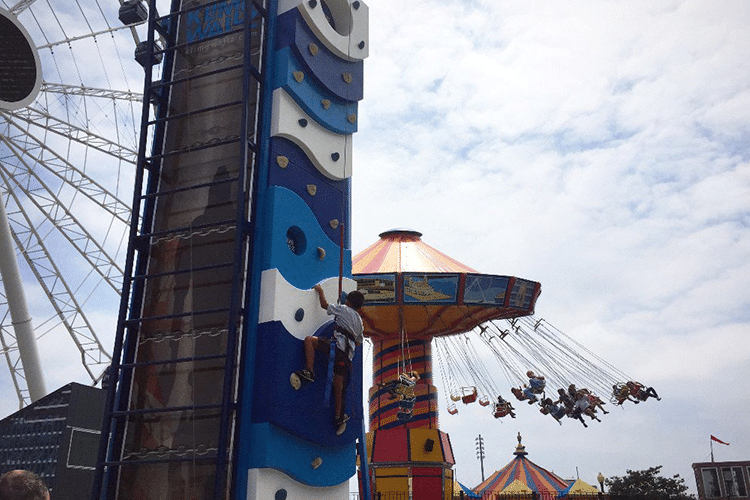 Navy Pier’s climbing walls started as a Chicago winter attraction and activity, but have since moved outdoors — making them an ideal attraction for the summer months too. The interactive walls are geared towards experienced and newbie climbers alike. Topping out at 24 feet, the walls also feature an automatic belay safety system, meaning that even your little ones will be comfortable trying it out. There is no shame in being the kind of person that prefers the electrifying experience of popcorn and a movie. The IMAX Theater at Navy Pier is home to Chicago’s largest flat movie screen and a state-of-the-art laser projection system. 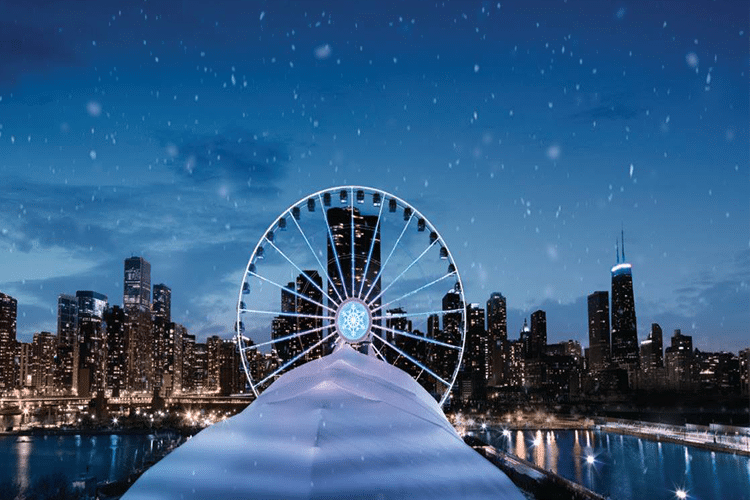 Open year-round, Navy Pier is ready for any kind of fall and winter weather that may befall our fair city. Don’t let the polar vortex stop you: There are plenty of indoor attractions at this landmark! Decked out in a stunning array of winter decorations, Winter Wonderfest will bring a smile to even the biggest Scrooge. Over 170,000 square feet, you’ll find carnival rides, tubing and even an ice skating rink — all indoors. And if you’ve got kids? This event is family friendly through and through: Tots can decorate cookies, take a train ride, and meet Santa all under one roof. The award-winning Q Brothers Collective have infused Dickens’ masterpiece with a ton of hip-hop flair. Their version of a Christmas Carol uses reggae, dancehall, and even epic rock to celebrate the spirit of the holiday and Christmas season in Chicago. You can catch their annual show at the Chicago Shakespeare Theater at Navy Pier during the month of December. Feast this holiday season aboard one of Odyssey’s Lakefront Holiday Dinner Cruises. The boat sails on Lake Michigan for over two hours, giving you ample time to take in the nighttime views of the city. Guests feast on a three-course plated holiday menu before dancing the night away onboard. Chicago New Year’s Eve is one of Navy Pier’s major events, with celebrations going on throughout the day and ending with a splashy display of fireworks at midnight. Visitors can choose to party at Crystal Gardens, the AON Grand Ballroom, select Lake Michigan and riverboat cruises, or in one of the many restaurants on the waterfront. Want to end with a bang? Stake out a spot and be dazzled by one of Chicago’s best fireworks shows. Chicago is a vibrant city even in the most frigid temperatures; still, even those of us who love Chicago winters will invariably yearn for warmer temperatures. And if you’re missing the sun? 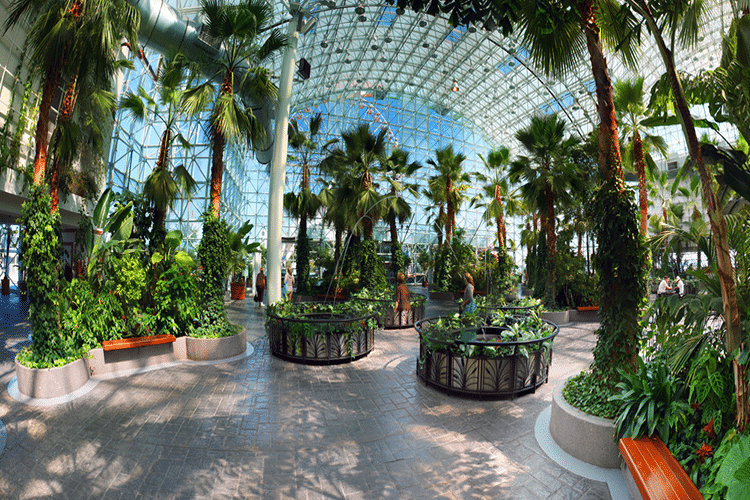 The Crystal Gardens can transport you to more tropical climates. The indoor botanical garden is all lush, with none of the outdoor slush of the city’s streets. What gets us through Chicago winters? The promise of Chicago spring and summers, of course. 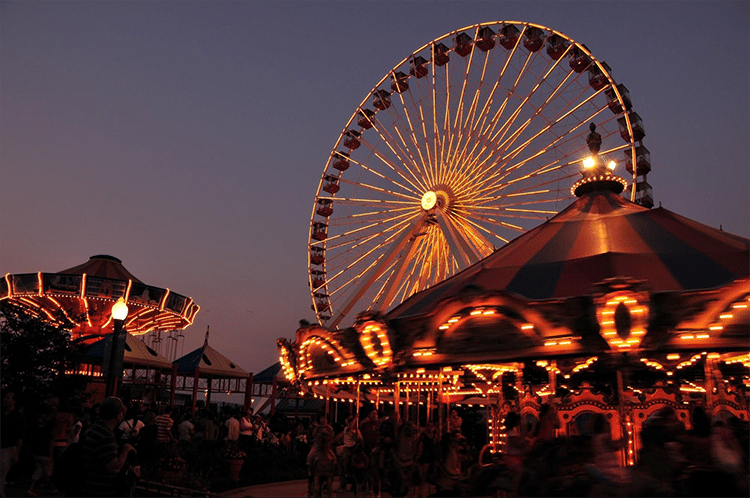 Navy Pier really comes alive during the warm months and has even more to make your visit unforgettable. Grab your flippie-floppies and get ready for you best Titanic impressions. If Lake Michigan beckons, there’s not better way to heed its calling than by going on a Chicago boat tour. Or several. Or all your sea legs can possibly muster. Navy Pier offers dozens of sightseeing, food-centric, fireworks-specific, thrilling, specialty and holiday boat cruises to keep your inner captain satisfied. Architecture buffs should set their anchors on Shoreline’s award-winning Chicago river tours of the city’s major landmarks. 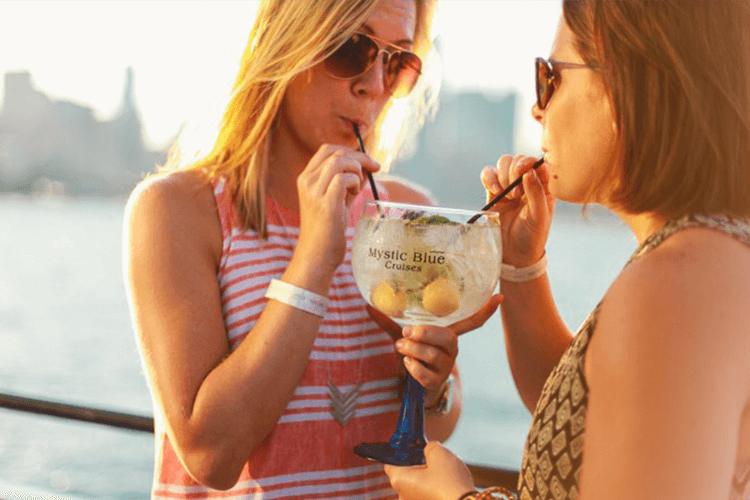 Brunch bros, ladies who lunch, and couples eager to be wined and dined will want to set sail with either Odyssey, Spirit of Chicago, or Mystic Blue. All three offer scrumptious Chicago dining cruises in an upscale environment. Not afraid to get a little wet or a little wild? Then Seadog’s extreme thrill rides and lakefront speedboat tours are just what you’re looking for. Not only will you take a spin around the city but you will literally experience 360° spins. All of Navy Pier’s river and boat cruise partners, including Tall Ship Windy, also offer firework cruises during the summer months. There’s no better way to get on board with summer than this. One of the perks of living in Chicago is that you don’t need a car to explore some of our greatest sights. 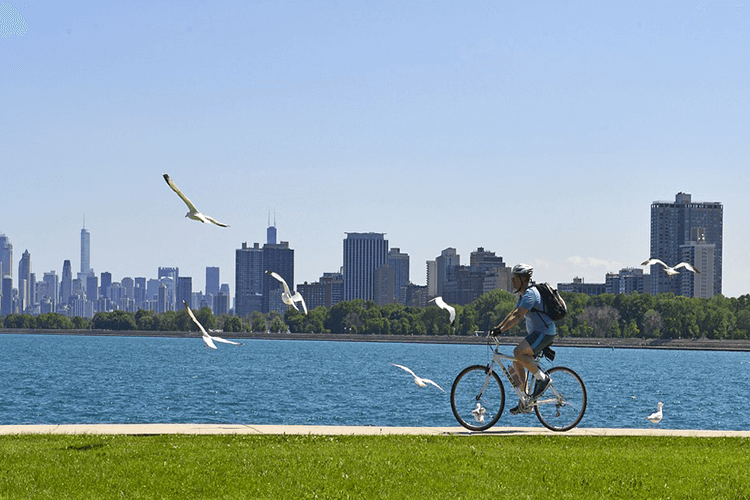 Bike and Roll offers several bike tours that start off in Navy Pier and make their way through the city’s architectural wonders. Feeling zany? 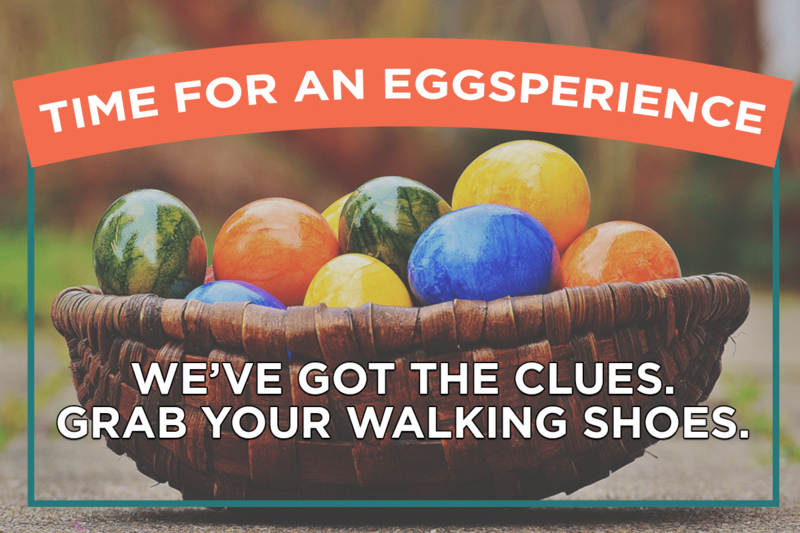 Then try their Segway tours for some giggles. You can always rent a Divvy bike through Chicago’s awesome, affordable bike-share program, to glide through Chicago at your own pace with various bike stations located throughout the entire city. Live music can be heard everywhere on Navy Pier. You’ll hear all genres at play, from classic Dad rock to thumping house music to lively Latin beats. There’s something for everybody, no matter how eclectic your music tastes. The Miller Lite Beer Garden features the delightful Live on the Lake! in their outdoors space. 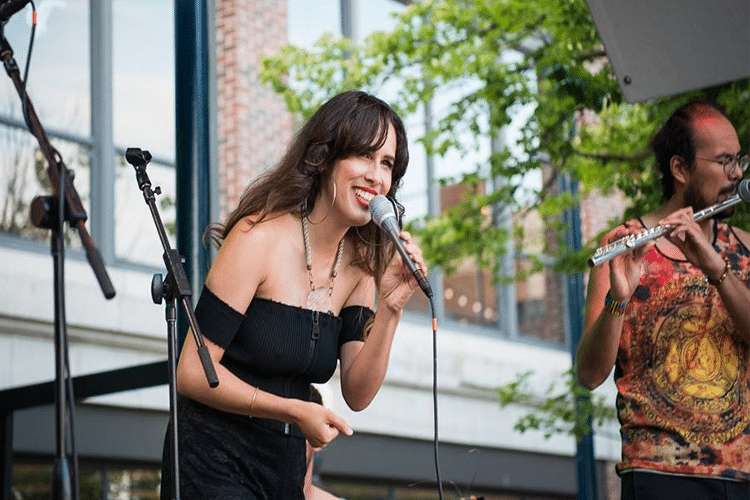 During the summer months in Chicago, you can find guests grooving to the sweet sounds of local musicians and bands. Wednesdays are devoted to Chicago blues while Thursday night’s dance series keep the good times going. Those hips don’t lie, after all. Polk Bros Performance Lawns hold two venues for live music, the Lake Stage and the City Stage. Several of Chicago’s special events are held here, like the World Music Festival and Water Colors, a free live jazz music series featuring some of our city’s greatest talents. If you’re looking to party, then sashay over to the Wave Wall Performance Platform for Wave Wall Wax. This summer series brings some of the city’s dopest DJs to the Pier every Saturday afternoon. Watch as they transform this landmark into a dance floor. 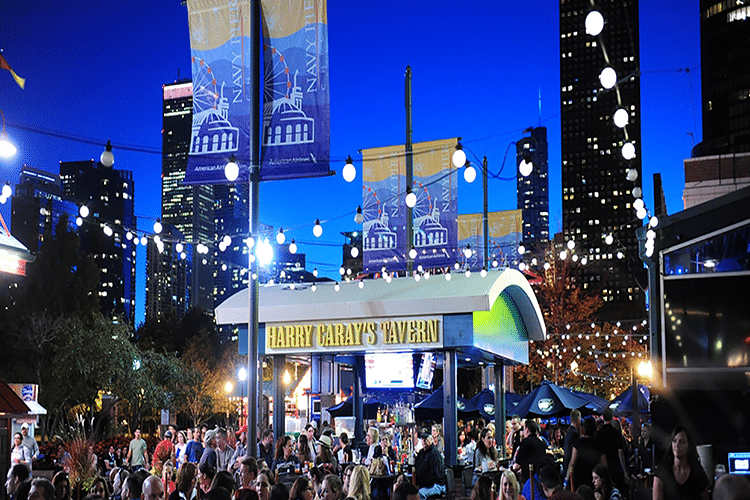 Come early to snag a spot in what is by far Navy Pier’s biggest annual celebration. The 4thof July Aon Summer Firework sis truly a must-see spectacle that Chicago looks forward to every year. If you can’t make it, fear not. 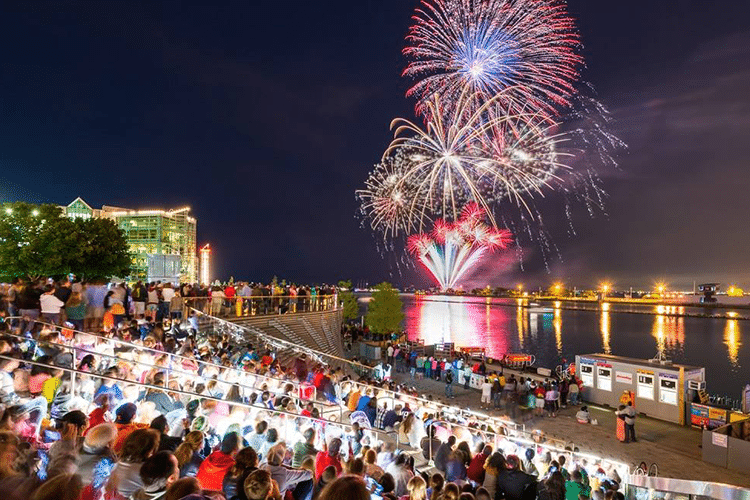 Between Memorial Day and Labor Day, Navy Pier holds a fireworks show at 9:30 p.m. every Wednesday and 10:15 p.m. every Saturday. Insider Tip: Get there early, the Pier gets very busy for fireworks. 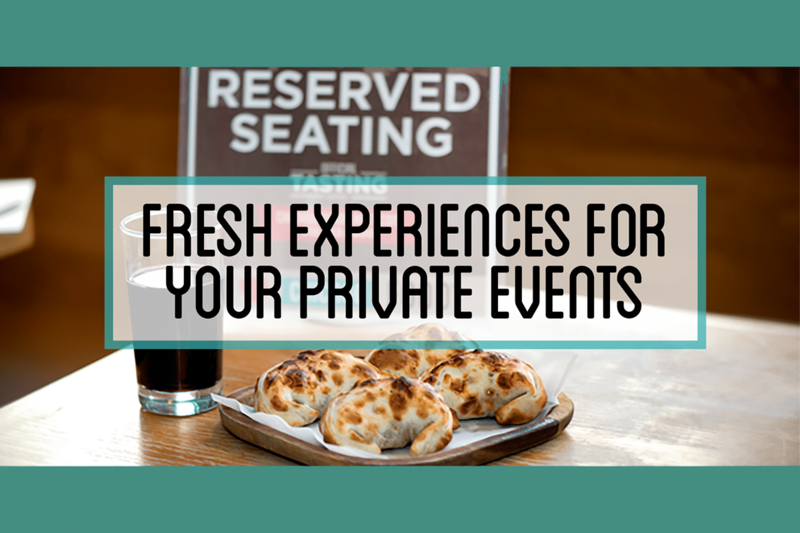 So do the restaurants and bars, so you definitely want to make a reservation ahead of time. One of our favorite things to do during the summer is Water Flicks, the free outdoor movie series at Navy Pier. In partnership with the Chicago International Film Festival, Navy Pier carefully curates a line up of ten films that fall under a certain theme. Last year’s “Sing-along Summer” brought some of our favorite musicals to the big screen like Pitch Perfect, Selena, and Grease. This summers theme in 2019? “Super Hero Summer”! Sounds like an explosive good time.Bring a blanket, some lawn chairs, your favorite snacks, and catch a family-friendly film. That’s if you can take your eyes off the gorgeous lakefront, tbh. Navy Pier is proud to present an ever-revolving array of public art and cultural installations — offering you multiple opportunities to capture a photo to remember. So- Take the perfect selfie at the Wave Wall Stairs. Then head to some of the temporary exhibits like Chakaia Booker’s: Four Sculptures and do it for the ‘gram. 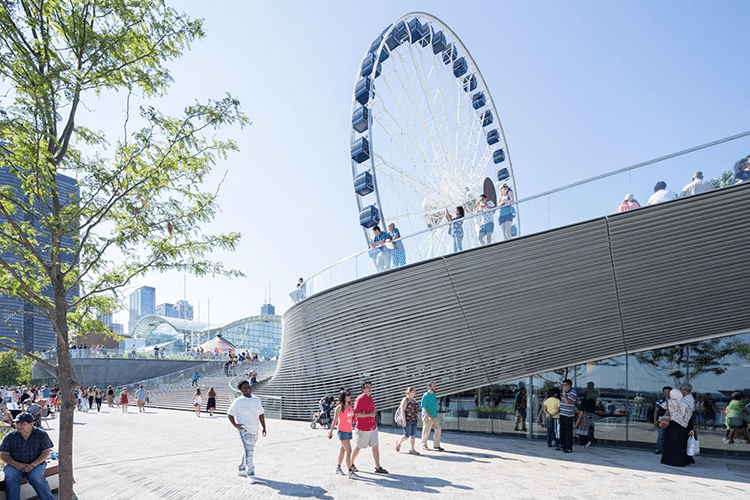 Or better yet, put your phone down and take in Navy Pier’s striking beauty for yourself. Have children in tow at Navy Pier? 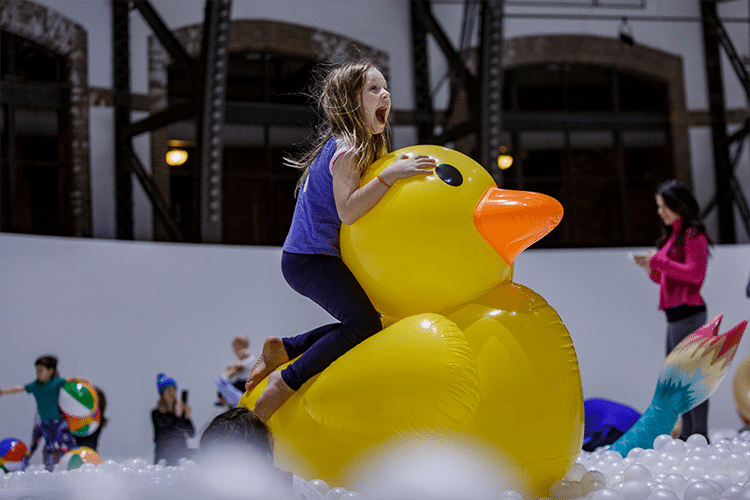 Navy Pier is overwhelmingly geared towards family friendly activities and is tailor-made for even the youngest of kids — not to mention, those who remain young at heart. Climb aboard Tall Ship Windy’s schooner for a trip around Lake Michigan that’s more buccaneer than bougie. Though they offer architecture tours and seasonal firework cruises, Tall Ship Windy really shines in their themed sails. Adventurous kids will love the “Tales of Real Pirates of the Inland Seas,” where they’ll hear famous pirate stories set against the city’s beautiful skyline. Have you ever wanted to see how a kid would behave in an actual candy store? Now’s your chance! The food court provides all sorts of sweets, desserts, and sugar goodies for the well-behaved kids in your life. Surprise them with the Dippin Dots’ burst of flavor, or give them a taste of some old-fashioned kettle corn at Garrett’s. And don’t forget- kids of all ages love to eat delicious, Chicago-style foods. 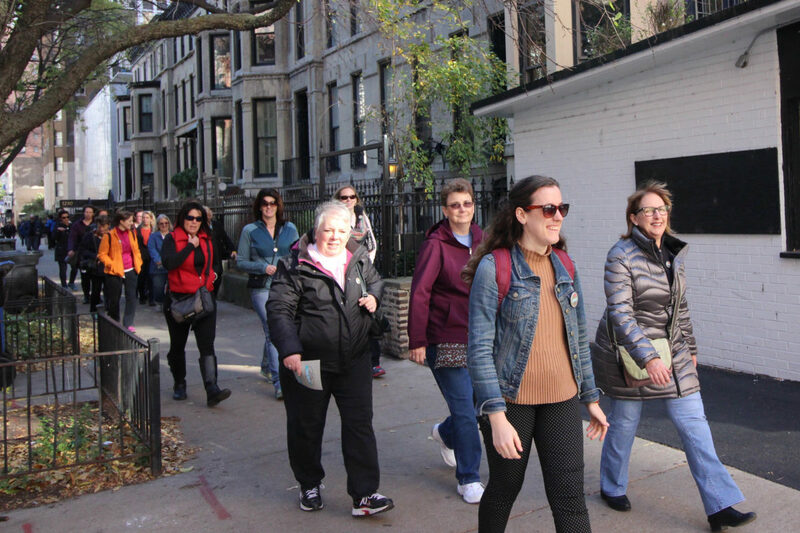 Consider signing up the family on a Navy Pier Food Tour to visit the Food Court and other local restaurants and hear the intimate stories of how they were created while skipping the lines with VIP service from your tour guide. If the word “museum” brings back memories of boring field trips and indoor voices, the Chicago Children’s Museum flips that all on its head. Any institution that has a Play Manifesto is virtually guaranteed to offer its visitors a good time. Children are encouraged to run, explore, create, touch, and play in its many halls. 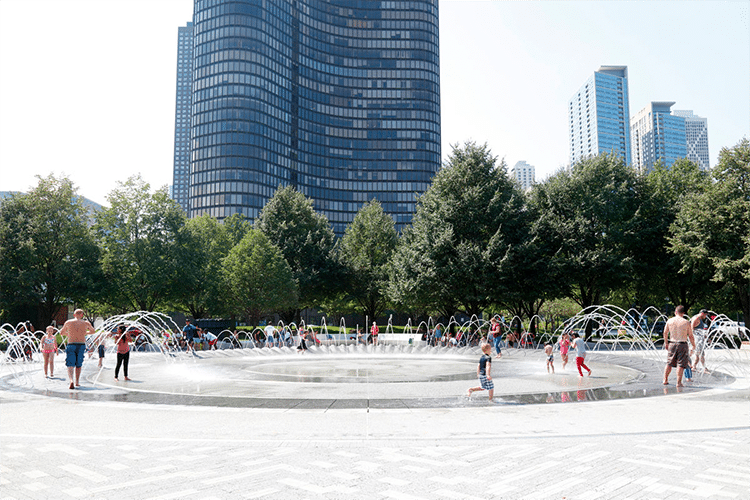 Some of their most popular exhibits are the Dinosaur Expedition, WaterWays, and the Pritzker Playspace. In the summer months, the Polk Bros Park has all the feels of a neighborhood block party. Its signature fountain is one of Navy Pier’s most famous water attractions, and forms a dramatic backdrop to any family picture. If your kids need to cool off, they can run through the park’s more than 150 programmable jets. Bring a picnic and relax to the sounds of The Wiggleworms and other live bands on one of the park’s many lawns. Long after the sun has set, Navy Pier still has plenty to offer in the evening. If you’re seeking a fun night on the town, look no further then these ideas! Relax after a long day with your beverage of choice. The Miller Lite Beer Garden has a large selection of beers, cocktails and frozen drinks. They also offer pub grub to help you soak up the surroundings in a lively atmosphere. Tiny Tavern offers sophisticated craft cocktails in their flagship location and is also included on the Navy Pier Signature Food Tour as a tasting location. 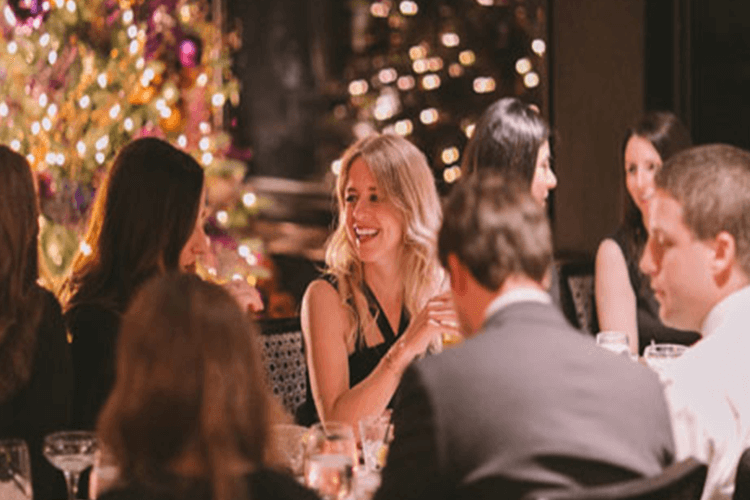 Whether you’re out with a special someone or simply looking to give yourself a well-deserved treat, Navy Pier is the perfect setting for an intimate dinner at a special restaurant. 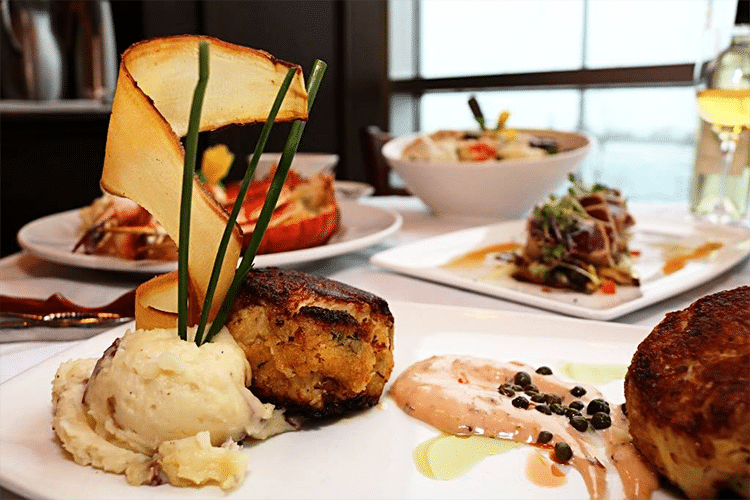 One of our top choices is Riva Crabhouse, Chicago’s only seafood restaurant on the waterfront. 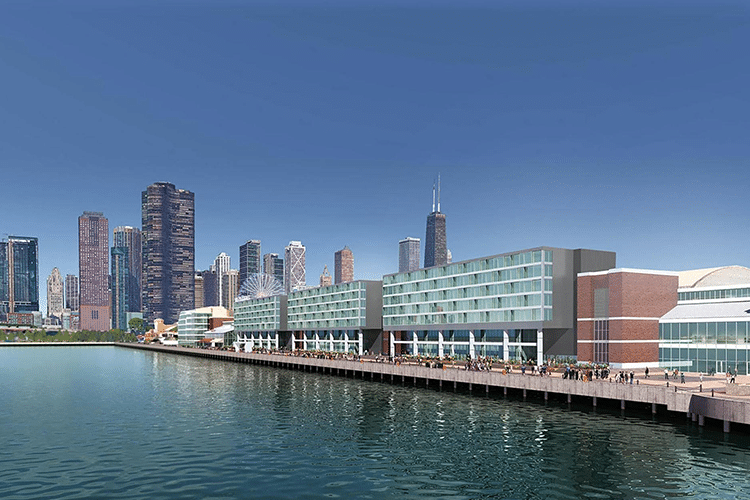 This past summer, developers broke ground on Navy Pier’s first-ever hotel. Tourists can expect 222 luxurious rooms, a 30,000 square rooftop bar, and floor-to-ceiling views of the skyline. While the opening date has yet to be set, keep your eye out for updates! This latest Navy Pier feature is set to reinvent the ever-evolving Chicago destination. Enjoy the Navy Pier Signature Food Tour on TripAdvisor’s #1 Rated Activity. 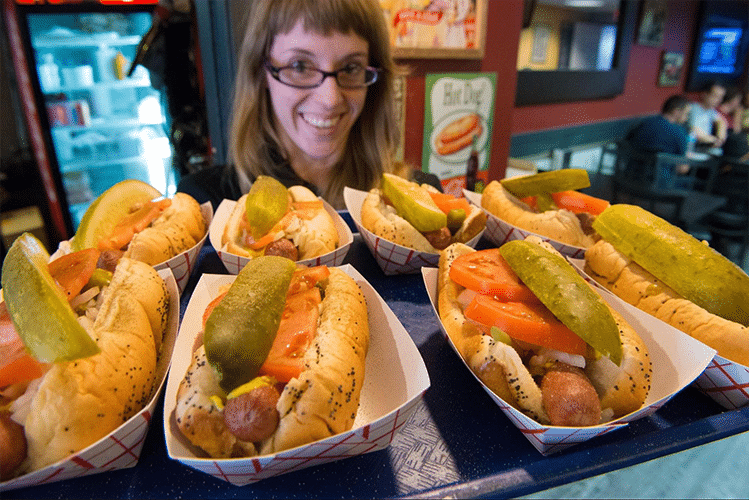 Learn the history, skip the lines and eat the iconic Chicago-style dishes! Offered Daily; Includes Chicago-style hot dog, popcorn and deep-dish pizza.